To login to your wholesale account for wholesale ordering! Allows you to register for your business wholesale account. Place B2B wholesale orders onsite. To login to your Dropship Business Account. Not for registered wholesale customers onsite. We Dropship! Get started today! 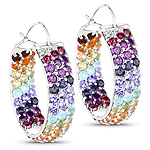 Choose gorgeous jewelry products from our catalog and sell them on your site. No need to deal with inventory. Add multiple products in your cart by clicking this button(Bulk Add to Cart). Designated Trademarks, logos and brands are the property of their respective owners. Copyright © 2019 Quintessence Jewelry Corporation. All Rights Reserved.